Flowerpot coral (Goniopora sp.). 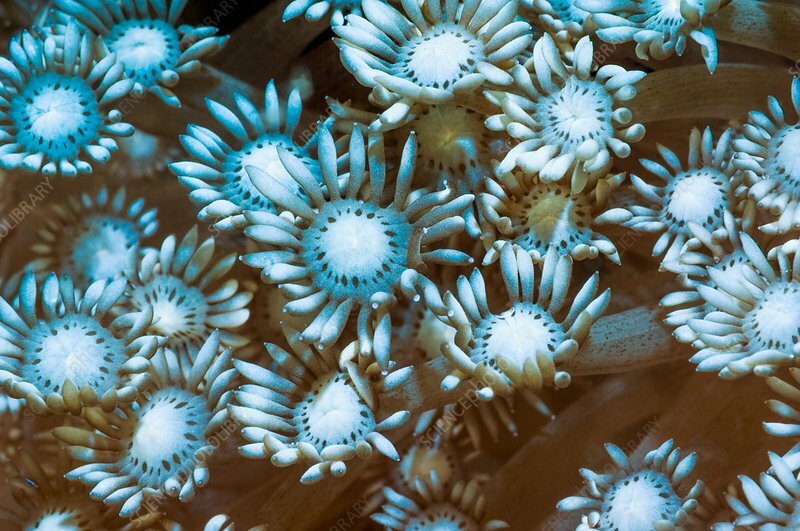 Close-up of flowerpot coral polyps, showing their tentacles. This stinging coral is found in the Arabian Sea areas, the Indian Ocean and various tropical and subtropical areas of the Pacific Ocean. Photographed in the Lembeh Strait, North Sulawesi, Indonesia.